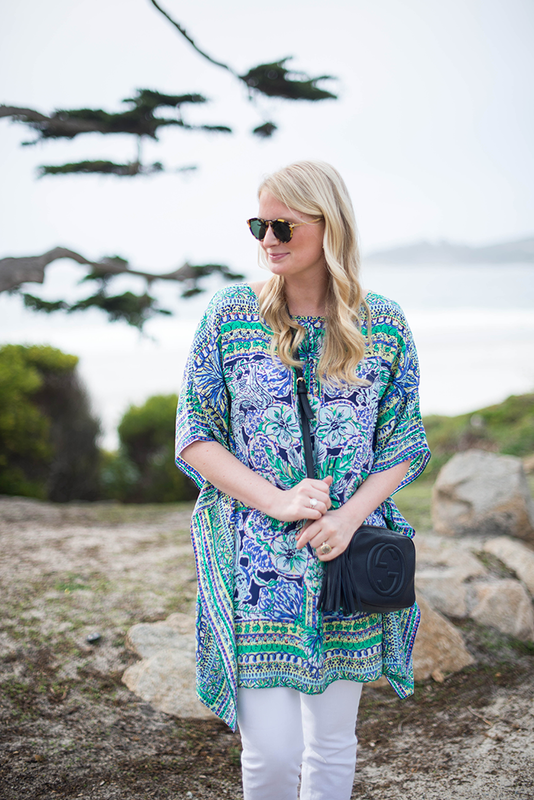 I’m sad to say this is my last outfit post from Carmel… I want to go back right now! With all those upcoming weddings I don’t think I’ll make it back to Carmel until late summer/early fall, unfortunately. 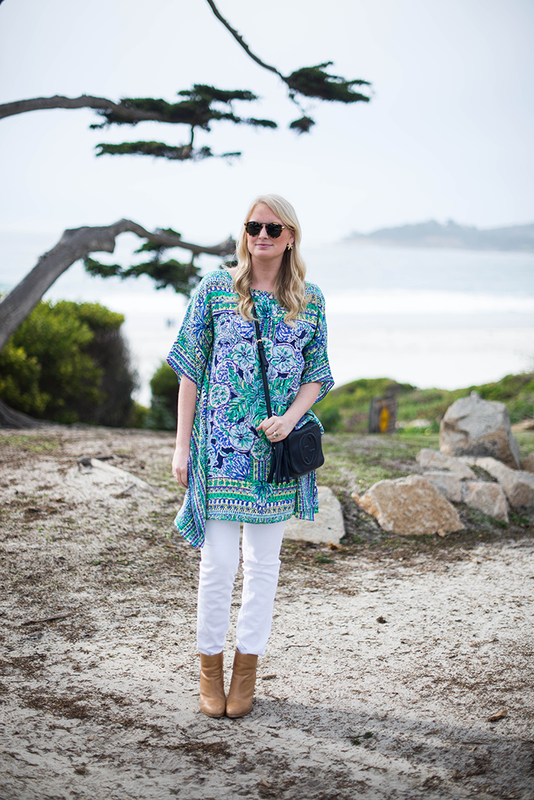 As I mentioned in this week’s EDIT, I’m a sucker for a good tunic. They’re perfect for packing when you’re going somewhere with unpredictable weather (ahem, Carmel), because you can wear them with or without pants depending on the level of warmth you need. 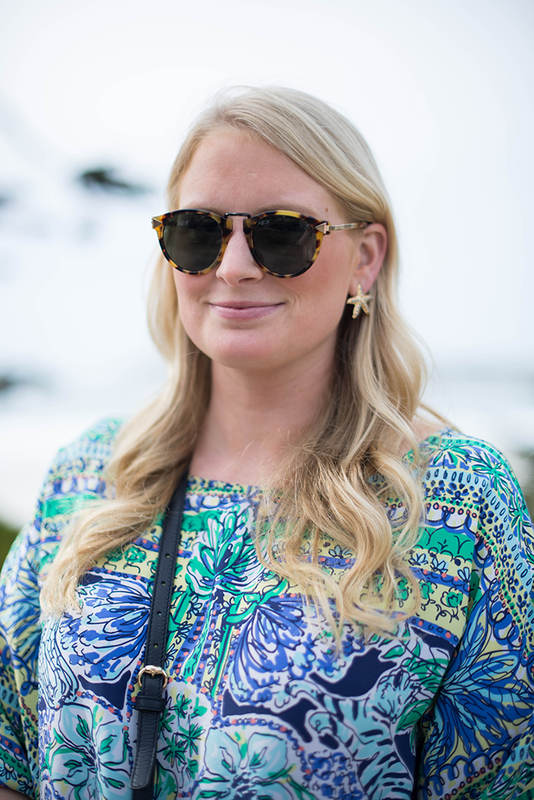 I picked up this pretty printed tunic dress at Lilly Pulitzer in New York in February. My friend Patti invited me to this New York Junior League event at the store, so I scooped up this piece and some cute little starfish earrings at a discount (yay!). While I haven’t been able to don the dress with bare legs yet, I’m planning to wear it the weekend of my friend’s wedding in La Jolla in early April. Who else is ready for warm weather?! I’m hoping to get some of it and enjoy some lake time when I head down to Austin on Sunday. Hope you all have a great weekend! PS – check back on Monday for an awesome giveaway featuring these gorgeous turquoise & diamond earrings from the Kendra Scott LUXE collection ($195 value). Love this flowy top with the white jeans. Love that top! It could be worn as a cover up too! The tunic dress is lovely…and you can also wear it on it’s own..when the weather warms up!! Love how paired you it with white jeans for colder days, I would’ve never thought to do that! yay! thanks for coming to the event – great to meet you! My boyfriend grew up going to vacations in Carmel and I cannot wait to go there. You look absolutely radiant! The colors in that top look great on you! And I love those earrings! 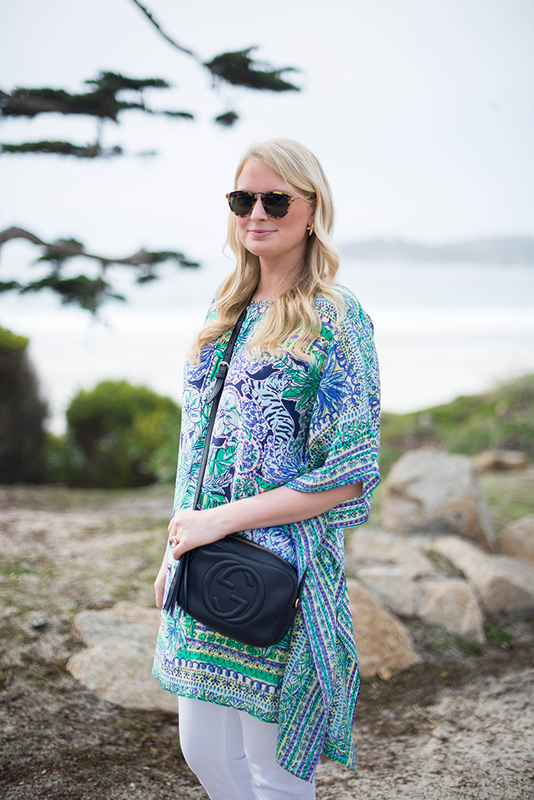 Love the print of that tunic and I’m seriously convinced that your gucci crossbody goes with everything! 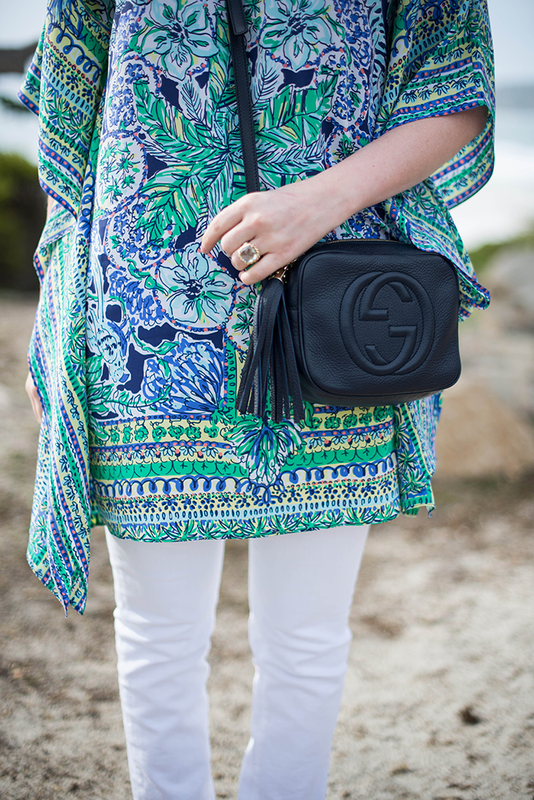 Love the print on this tunic! Perfect for spring and can’t wait to see how you style it for warmer weather. How adorable are your earrings?! And I love the pretty colors of the tunic! now i want to go to carmel!! this setting is pretty fab. Genius! 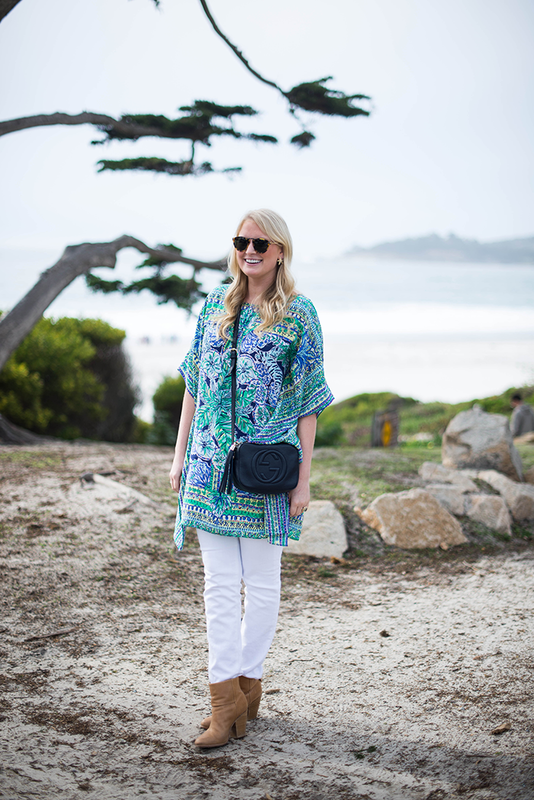 I love how you paired this tunic with white jeans! A great transitional look! I love Carmel! It’s one of my favorite places. So charming and the views of the Pacific are breathtaking. Love the dress! Happy weekend! Love the fun print and worn with those slim white pants- so beautiful! So pretty! Such a great spring and summer look! Oh I would just love to visit even if it’s by the end of summer. Sounds like you will be busy, but you are looking fabulous! 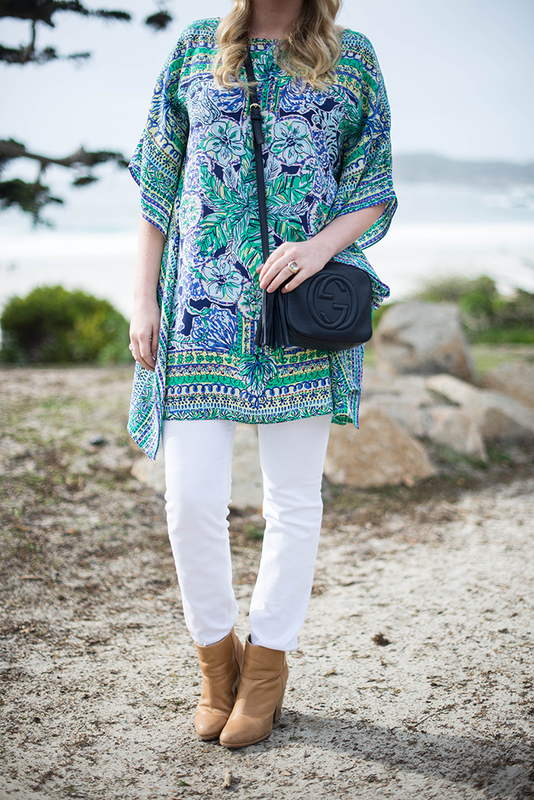 Love the color and print on the tunic. Thanks to your gorgeous pics, Carmel has quickly moved up to the top of my wanderlust list. P.S. Is it Monday yet? What an a-maz-ing giveaway! gorgeous style!..Love your outfit combination! I love that print on you! Loved your looks from your trip!